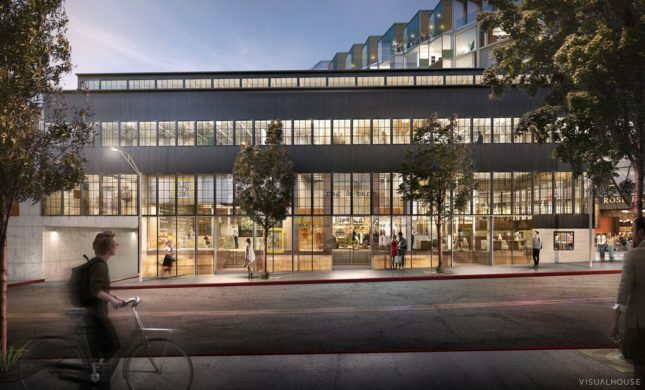 A recently-revamped proposal for new retail and hotel project in West Hollywood by Los Angeles-based architects Hodgetts+Fung and West Hollywood-based developer Faring Capital has taken a turn toward preservation. 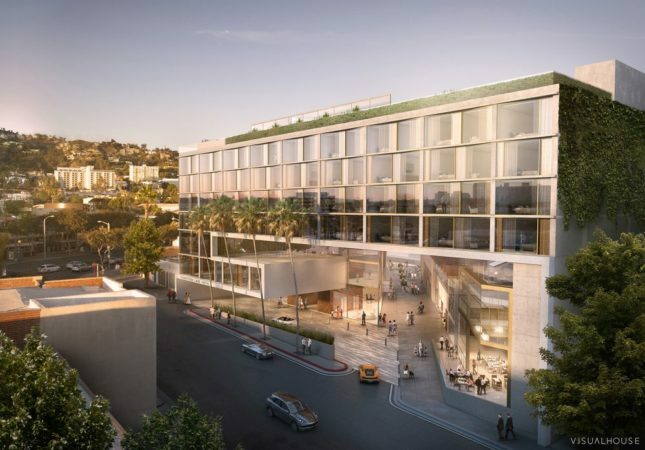 The proposal originally intended to demolish a historic gay culture monument occupying the site of the Robertson Lane project, replacing the structure with a pedestrian-oriented, 250-room hotel and retail complex. That monument, known as “The Factory,” is a formerly-industrial brick structure built in 1929 to house manufacturing facilities for the Mitchell Camera Corporation. After the camera film manufacturer relocated their operations in the 1946, it underwent a series of transformations, eventually being converted in 1974 into a gay nightclub called Studio One. The discotheque become a safe space for the gay community during an era which inclusive, open environments were scarce. It also was seen as a beacon for rising consciousness, when it hosted the country’s first major AIDS research fundraiser in 1984. The Factory was listed on the National Trust for Historic Preservation’s “11 Most Endangered Historic Places” list in 2015 alongside New York City’s South Street Seaport and the Grand Canyon. 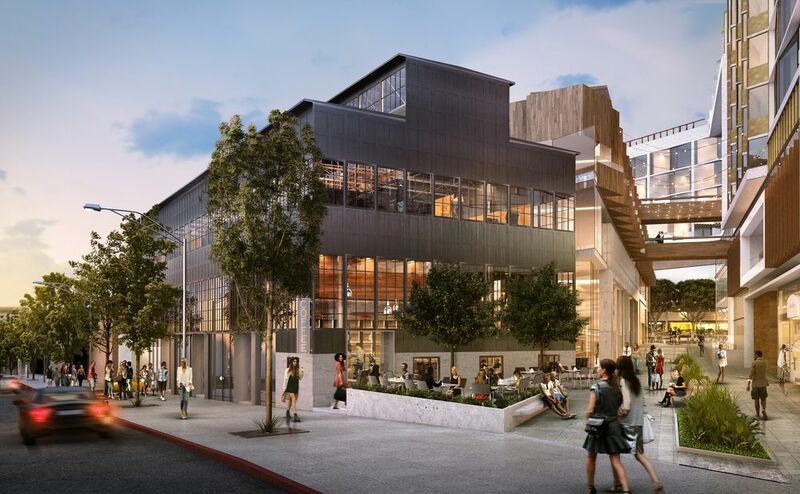 The designation, a powerful tool for moving public opinion toward preservation, no doubt helped the developer’s position toward the structure evolve to incorporate reuse. Hodgetts+Fung’s revised plans involve moving and rotating the structure 90 degrees so that it’s longest facade is aligned with the streetfront. Under this arrangement, The Factory will become the entry point for a paseo bisecting the site, instead of being demolished by it.